The real estate sector is a critical driver of India’s economic growth. The sector has been sailing in turbulent waters over the past few years with lot of challenges. 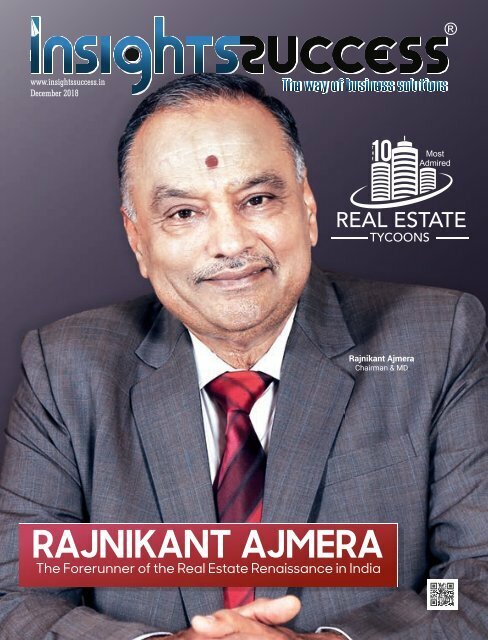 To analyze how various challenges are tackled by the individual companies, Insights Success has introduced the top real estate developers across major cities in India to analyze the most successful real estate firms. Page 21 and 22: Interview with Insights Success 1.